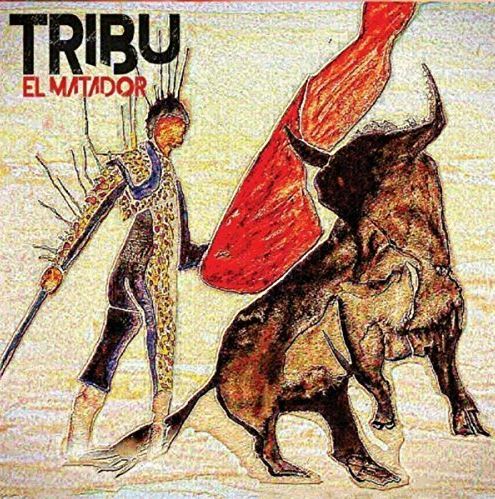 Following in the Latin Jazz traditions of Cal Tjader, Mongo Santamaria and Machito, Tribu( tribe in Spanish), brings the next continuum. With Afro-Caribbean mixed with American Jazz flavor, this music brings the feel of Latin Jazz into the 21st century. Steve McQuarry (Piano and Leader) grew up in a home filled with his Mom’s piano playing, in Denver Colorado. He studied at the Eastman School of Music, University of Colorado at Denver, Berklee School Of Music, University Of California San Diego and Alexander University. He is an active member of the Audio Engineering Society (AES), the performance rights organization, Broadcast Musicians, Inc. (BMI), the Electronic Music Foundation (EMF), the American Society of Music Arrangers and Composers (ASMAC), the Society For Electro-Acoustic Music in the United States (SEAMUS) and Chamber Music America (CMA). Stephen has performed with distinguished artists such as the late Dizzy Gillespie, Clare Fischer, Louie Bellson, Red Rodney (Charlie Parker), Tom Scott, the late John Cage, Laurie Anderson, Vinnie Colaiuta (Sting, Herbie Hancock, Frank Zappa), Nathan East (Eric Clapton, Herbie Hancock, Bob James), Bill Rich(Jimi Hendrix, Buddy Miles, Taj Mahal) and the Colorado Symphony Orchestra. Marcus Lopez , musician/producer from San Francisco via Cuba, has played and produced SF Salsa Band Cubanacan, also he has played with: Sheila E, Jeorge Santana band, Malo, Francisco Aguabella, Chuchito Valdez’ Limbo in the ( Book of Voices of Latin Rock) local SF Latin rock 1970 “Amanda Hughes, Cesar’s Band. Europe Platinum Award Winner local Act Mission Varrio Project, Dr Tequila (Sony Records) CD with Richie Barron and the Mission D Mob. A native of Havana, Cuba, Carlos Caro was musically educated throughout his youth, and well traveled as a professional performer, Caro appeared on the West Coast music scene in 1996 to quickly become one of the most sought-after Latin Percussionist simultaneously playing in the best Cuban, Salsa and Latin Rock bands throughout the San Francisco Bay Area. He was the first bongosero of Opus 13 and Paulito FG in Cuba and played and recorded with Jackeline Castellanos back in Cuba in the 1990’s.In the U.S. he has played with Rebeca Mauleon, Omar Sosa, Eddie Palmieri, Armando Perazza,Carlos Santana,Jorge Santana,QBA, Avance,Orquesta La Moderna Tradicion,Cubanacan,Taj Mahal,Lenny Williams,Sheila E,Pete Escovedo,Malo,Wayne Wallace,Pellejo Seco,Havana de Primera,Tribu, and his own group Vission Latina among many others. He is a Grammy winner who has played with Pacific Mambo Orquestra and with the legendary Norteño Group, Los Tigres del Norte, who he toured with in 2015. Saxophone and flute, composer and arranger Ruben Salcido is a long time SF Bay Area resident, having studied with Joe Henderson and Mel Martin. Ruben currently plays with the Full Spectrum Jazz Band and The Bob Enos Legacy Big Band. He also perform frequently throughout the Bay Area in various groups. Dave Casini (vibraphone & drums) has been playing jazz for over 40 years. Currently performs Latin Jazz with Joel Dorham’s Octet, Primavera, Orion’s Joy of Jazz and Viento y Maria. Recorded with Octobop, Call Me Bwana and Eagle Street. Concert performances at SF Jazz Festival, San Jose Jazz Festival and Fillmore Auditorium, as well as club/restaurant gigs all over the Bay Area. Mario Salomon was born in Camagüey, Cuba. From 1993 – 2000 he attended the Escuela de Superación para el Arte where he studied music history, musical appreciation and musical theory with emphasis on percussion instruments. Mario’s musical career in the United States began in Miami where he played with bands like La Nueva Generación de la Salsa, La Clave y el Son and many others. He has assisted in master classes with Pedrito Martinez and Jhair Salas in some universities. When he moved to New York, he played with La Tematika, and has backed up artists like Mario (Mayito) Rivera (ex Van Van) and Tirso Duarte. He also toured to Los Angeles, California to take part in a Festival at La Verne University. Some of his songs he wrote for La Tematika were recorded at Congahead Studios in New Jersey, where he also did a guiro section for Maykel Blanco y su Salsa Mayor on multiple songs. He performed at BB King NYC with Hector Tricoche and Frankie Ruiz Jr, and has played Latin Jazz with different projects in NYC.